Exabytes Hosting offers secure web hosting and server management that enhances a user’s online web presence using digital marketing, website creation solutions, business startup solutions, and more. 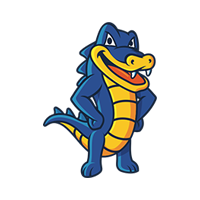 Its features include domain registration, cloud hosting, shared hosting, and more. In this article, we cover Exabytes Hosting reviews and pricing. Ready to get started? Visit its website. Users who gave Exabytes Hosting a positive review said that it provides an extensive range of domain registry services. Most of them also commended its highly knowledgeable and responsive technical support team. One user who gave Exabytes Hosting a positive review on HostAdvice said that it is user-friendly even for nontechnical personnel. He also liked that cPanel is also available on the platform to make website management easier. Moreover, the technical support team promptly assisted them for troubleshooting some issues and were even available on live-chat. Users who gave Exabytes Hosting a negative review complained about some errors that at one point stopped their website from functioning. Some of them also mentioned that its pricing is quite high. One user who gave Exabytes Hosting a negative review on HostSearch said that they have experienced website errors that needed frequent support. He also complained that aside from billing problems, it is also more expensive than other domain name registrars. Exabytes Hosting pricing depends on three web hosting plans for two operating systems: Linux OS plans ($1 to $6.99/month) and Windows Plans ($2.99 to $6.99/month). The main difference aside from the operating systems includes the number of email account, storage, and bandwidth, and more. All plans include installation of 300 or more free applications, data backup, free email accounts and management, 24/7 security monitoring, MySQL database management, and flexible control panel. 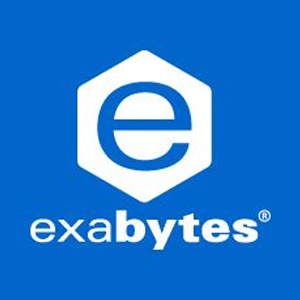 Exabytes has around 55 available domain extensions ranging from 99 cents/year to $152/year. Discounts for registration fees are available for select domain extensions for a limited time. Ready to get started with Exabytes? Visit its website. 6 Best Website Builders 2019: Reviews & Pricing Guide: A website builder makes it easy to design and host a website to sell products, connect with your customers, and analyze web traffic — no coding knowledge required. We researched, tested, and compared dozens of website builders so you can choose the best one for your business. How can Exabyte Hosting users protect customer data? Exabytes Hosting plans include Domain Validated Comodo-signed SSLs that protect user website and customers’ contact details, passwords, or payment information even upon user request. Can Exabytes Hosting prevent data corruption? Exabytes Hosting provides a free site backup and restoration feature to save website files and prevent it from being lost or corrupted. Have you read these Exabytes Hosting reviews and are still not sure if it’s the right fit for you? Read our reviews of all top web hosting providers or check out one of these three Exabytes Hosting competitors.